Cheryl Thomas, CEO, presents on the importance of a Coordinated Community Response in addressing violence against women and girls at the U.N. CSW in New York last week. 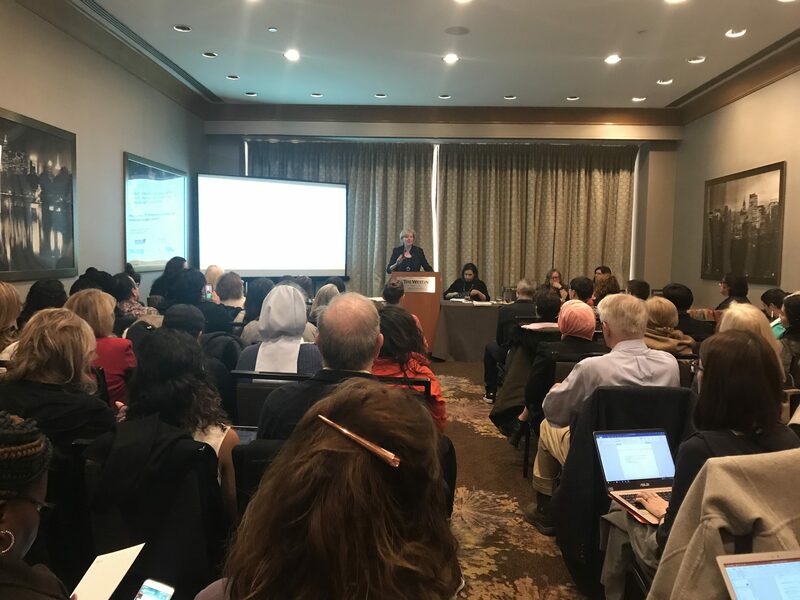 Global Rights for Women attended the annual United Nations Commission on the Status of Women from March 12-15th, the annual two-week long conference in New York City gathering many of the world’s organizations working towards advancing women’s rights and gender equality. 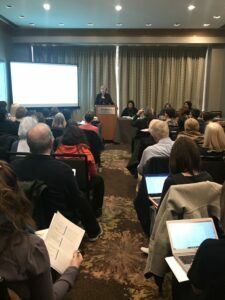 Special thanks to our amazing GRW team, Richard Ihrig, Darcy Berglund, Lynn Schubert, Kelley Lindes, Becky Bentzinger, and Biljana Arsova for traveling with us to New York to build their knowledge, connect with our partners and support our work! Of the hundreds of organizations attending and presenting the 63rd annual CSW, Global Rights for Women was invited to present our work on The Importance of Coordinated Community Response in Responding to Violence Against Women and Girls, in collaboration with UN Women, the Australian Women Against Violence Alliance, the Basque Institute for Women, the World Health Organization, and other UN Agencies. GRW was extremely honored to not only have been invited to share our work with this international audience, but to have the support of friends, community members, and board members also in attendance and joining us at other presentations throughout the week. We were happy to have had a wonderful response from the presentation; the closing being marked with engaging questions and ongoing conversations. Lynn Schubert, a GRW Board Member (back left) joins the attendees of a session on Legal Mechanisms to Promote Social Protection Systems for Women. The United Nations Commission on the Status of Women, is a uniquely inspiring event. Perhaps the energy of thousands of organizations gathering for the collective cause of globally advancing women’s rights, perhaps the presentations being held across the major metropolitan areas of New York City, or perhaps because of the consistently recurring headlines of another human rights violation against women, that inspires the attendance of the world’s citizens out of a collective urgency. Attending the conference also provided the opportunity for GRW to meet with global partners and those in our international community, including our Macedonian partners and the Macedonian Minister of Labor, our co-presenters and partners of the Australian Women Against Violence Alliance, and many others in attendance. Supporter Darcy Berglund (2nd from left), GRW CEO Cheryl Thomas (4th from left), supporter Becky Bentzinger (5th from left) convening with our Macedonian friends and partners, and Macedonian Minister of Labor. 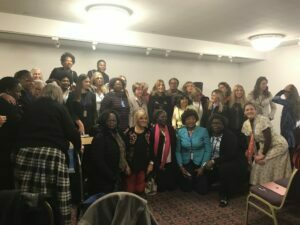 We would like to extend our deepest thanks to our board members and friends in our GRW community for their relentless support of our work, and for a successful gathering at CSW 63. For more information on our work in establishing a Coordinated Community Response across local contexts or on attending future CSW events, we would be happy to provide more resources. previous post: Tell Me Again What it Takes to Be a Man?